In a two-sentence news release this morning, Interpublic Group announced it has terminated Campbell Ewald CEO Jim Palmer and handed leadership to agency president Kevin Wertz. While the agency has not stated the reason behind the firing, the move comes just days after Adweek's AgencySpy blog revealed that a white creative leader at the agency's San Antonio office had sent an email in October 2015 inviting staffers to take part in "Ghetto Day." "Also please share with the teams that today is officially Ghetto Day in the SA, and we're inviting our Big D homebitches to cycle in and pop a freak with us," the email said. "Ghetto music, Malt 45s at lunch, and of course, drugs and prostitution are legal all day until close of business. Word, my cerebral gangsters." When the email was revealed Tuesday, CEO Palmer issued a statement saying: "This email is in no way reflective of who we are as an agency and what we stand for. We addressed this matter very seriously when it happened back in October. To those that were hurt and offended by this language, we sincerely apologize." The following day, sources told AgencySpy that the creative behind the email had been fired—months after it had first been spotted and addressed by executives. Various sources have identified the employee who sent the "Ghetto Day" email as Jim Houck, who joined Campbell Ewald San Antonio as executive creative director in 2015 after working as a copywriter and creative director at Crispin Porter + Bogusky, Saatchi & Saatchi and SapientNitro, among others. UPDATE: After this story first ran, Adweek learned that insurance and financial client USAA has terminated its contract with Campbell Ewald in order to search for "a new agency that aligns with USAA's culture and core values." IPG says it plans to spin off Campbell Ewald's USAA team into a stand-alone agency in hopes of retaining the client. 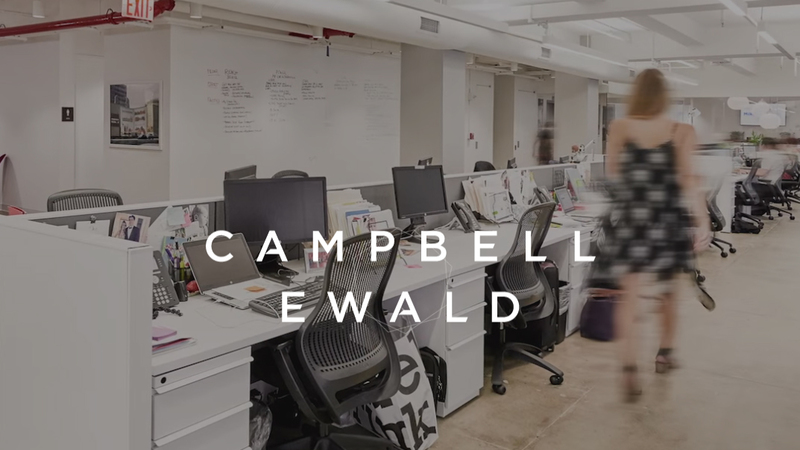 Even before this week's controversy, the Campbell Ewald agency network had lost several major accounts in recent years. In 2010, General Motors sent its Chevrolet business to competitor Publicis after 91 years with Campbell Ewald. The agency later lost the U.S. Postal Service, Cadillac (which also went to Publicis) and, in 2015, the U.S. Navy business, which went to Y&R. This story is developing, so check back throughout the day and on AgencySpy for updates.